Skip was born George Vincent Homeier on October 5, 1930 in Chicago. As a child, he got his start in the entertainment business by lending his voice to local radio programs. In 1943, Skip made it to Broadway and earned a breakout role in Tomorrow, The World, where his role was that of a young boy who has been indoctrinated with Nazi principles and beliefs. When the play was adapted for the screen, Skip was chosen to reprise his role as Emil, the troubled young boy who moves in with distant American relatives after his parents die. His Nazi beliefs cause him to clash with his new American family, and a whole lot of drama ensues. Skippy’s big screen debut was released in 1944 and remains one of the most fascinating films ever crafted on the topic of World War II. It is not only a psychological exploration of a deeply scarred child, but also a social exploration of American attitudes toward Germany during wartime. When I saw Homeier’s performance as Emil for the first time, I was absolutely blown away by it. Homeier’s Emil is manipulative, angsty and quite an unsympathetic character. For an actor with no screen experience, Homeier’s presence in the film is incredibly strong. He had stage experience, of course, but translating that talent to film isn’t always an easy thing for actors to do. He makes it look effortless, and he does a great job of bringing a truly sinister edge to the character rather than overacting and turning the role into a parody. Skip’s performance as Emil did unfortunately cause him to be typecast as a delinquent youth, even when he began to make the transition from child actor to young adult screen star. 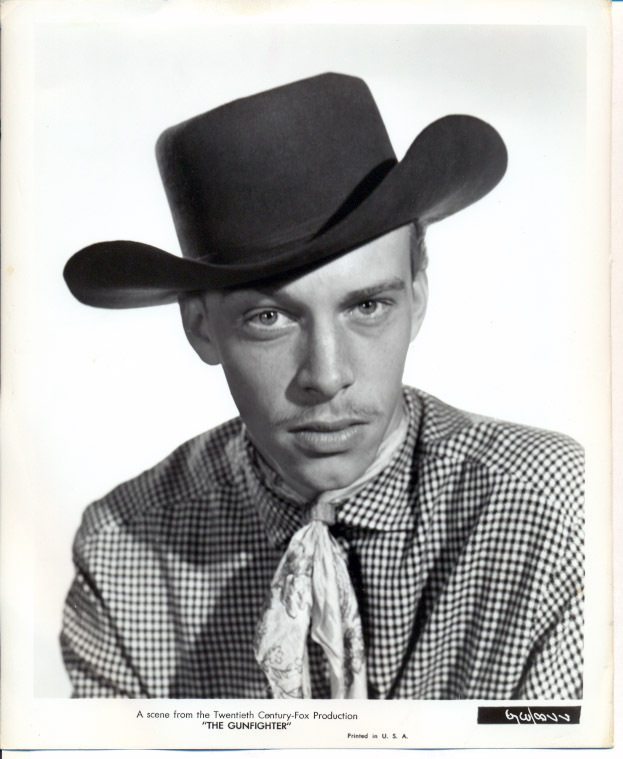 His next role, released in 1946, was as “Skippy” in a Western drama called Boys’ Ranch. The “Skippy” character is a sneaky little thief, not an incredibly far departure from the role of Emil, though “Skippy” is of course not a Nazi. Even in his next breakout film of The Gunfighter (he made a few films between Boys’ Ranch and The Gunfighter, but no major hits), his character has an edge in which the audience can see glimpses of Emil’s angst and brashness. Skip has unfortunately become a forgotten talent to modern audiences. Very few of his films were major hits or have lasting legacies in the vein of Casablanca or Gone with the Wind. He was getting pretty consistent work in films during his time but not in films of great prominence, so eventually he made the smart move to split his time between film and television. Homeier’s first television role was on an episode of “The Silver Theater,” a single-season series focused mostly on romantic teleplays. Later in his career, he would put even more of a focus on his television work, with increasingly frequent guest spots and more than a few recurring roles. His first major recurring television role was on “Schlitz Playhouse,” where he appeared in six episodes between May 1952 and January 1955. Concurrently, he had recurring roles on “Lux Video Theatre,” “Studio One in Hollywood” and “Robert Montgomery Presents.” As his career progressed, Skip began very few film roles in favor of guest spots or short stints on TV shows like these. Skip continued working in both film and television after the cancellation of “The Interns,” eventually retiring after two final roles in 1982 (in the film Quell and Co. and an episode of “Quincy M.E.”). I don’t want to give away too much about these because I’ll be including them in my Recap & React series eventually. I will say that Skip has a lead role in both — once as a man attempting to plan the perfect crime, and once as a money launderer. Both of these roles play into the “evil” persona that Skip was pigeon-holed into after appearing as Emil, as is to be expected of characters in a series like AHP, where every episode is full of liars and crooks. Both episodes were directed by Robert Stevens, one of the greats of AHP’s plethora of wonderful directors. Under the direction of Stevens, Skip’s talent to push these familiar characters beyond their barriers is even more apparent. He may have been typecast due to his performance as Emil, but he seems to never have really let himself play the same character twice; he brings something unique to each character. I did a full review of this episode back in March. It was one of the first things I saw from Skip’s filmography after seeing him in Tomorrow, the World, and I was incredibly impressed! “The Bride Possessed” is fantastic not only as an introduction to a fascinating science fiction series, but also a completely 360-degree turn for Skip in terms of character. Rather than a sneaky, evil or hard-edged man, here he portrays a sensitive husband who finds himself in peril when his wife begins exhibiting strange psychological systems. Skip Homeier is still with us, but is no longer working as an actor. I was unable to find any information about what he’s doing now, but whatever it is I hope he knows how much his work as an actor is still appreciated, both in his first defining role of Emil and in every subsequent role. 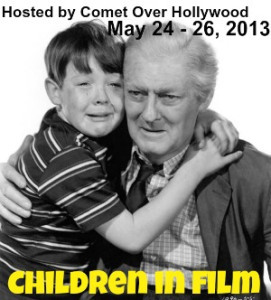 This post is an entry in Comet Over Hollywood’s fantastic Children in Films blogathon. Skip also played a villain in two different episodes of the original “Star Trek” – once as a leader of a group of “space hippies,” the other as a Nazi leader. Yes he did! I haven’t seen either of those episodes, unfortunately, which is why I decided not to discuss them in the post. I will have to track them down and give them a watch — especially the one where he plays a Nazi leader. It will be interesting to see him in that role as an adult after seeing him portray Emil when he was so young! Infamously, Richard Lamparski called Homeier out in one of his “Whatever Happened to…” books as something of a recluse, who refused to be interviewed and said something about preferring to be forgotten. Taking that as a challenge, I got Homeier on the phone about five years ago, and it was … a strange conversation. Initially he seemed amenable to talking, but after a couple of minutes he turned querulous and I ended up being shown the door, same as Lamparski. Interesting! Lamparski’s books have become a source of endless fascination for me, after a neighbor who knows I collect vintage publications gave me a 1967 copy of “Whatever Became of…?” Lamparski’s writing can be pretty catty so I wouldn’t be surprised if Skip had only reacted negatively to him, but for Skip to refuse ANY interview or conversation is puzzling. The fact that you say he prefers to be forgotten makes me sad — he should be proud of his talent and his work. Makes me wonder if he encountered harassment of some sort after being pegged as “that crazy Nazi kid” and as a result prefers to separate himself from his entertainment career. We’ll probably never know. Thanks for reading my post and for sharing this information with me! Wonderful! My first introduction to Homeier was also “Tomorrow, the World” and agree that it was a great performance. When you mentioned his typecasting all I could think about was the episode of Alfred Hitchcock he stars in with Joanne Woodward. I may be crazy but in the 1950s, the way he was made up made me think of a blond Farley Granger. Great post and thank you for participating! I never thought of it before but now that you mention it, I totally see the Farley Granger resemblance! Thank you for allowing me to participate. :) This was a fun post to put together and I’m really looking forward to seeing what my fellow contributors come up with! I enjoyed your post. 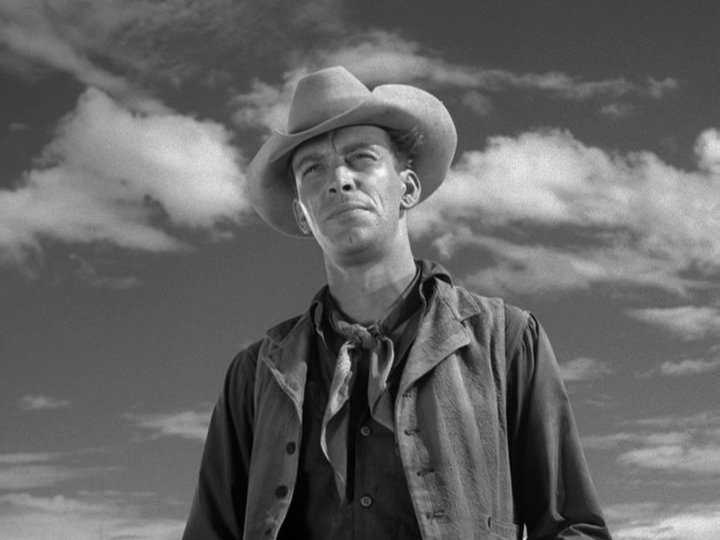 I haven’t seen any of Homeier’s work as a child actor, just his stints on Star Trek, and on an episode of The Rifleman, which AMC replays on Saturdays. Once again, he’s a sneaky, bad dude who happens to save The Rifleman’s son from danger, and so the episode has a sympathetic note in the plot towards Homeier’s character. I love the sound of his voice, too bad he didn’t pursue voice work in his later adult years. You should definitely give Tomorrow, The World a watch. His performance is phenomenal and the film is very historically significant. It would have been interesting to see him do voice work! Interesting post on a very interesting talent. I always am intrigued by child actors who stay in the business as adults. They always have so much more to prove. Completely agree! It would have been interesting if his career had expanded beyond the early ’80s, to see how modern audiences not exposed to his earlier “delinquent” roles would react to him. I think he could have had continued success, as I’ve been so consistently impressed by his performances both as a child actor and as an adult. I’m not that familiar Skippy Homeier’s, but now I really want to see him in “Tomorrow, the World”. Good post on an actor who deserves to be recognized. I can’t recommend that film enough. It’s become one of my favorite WWII-era dramas. I’m ashamed to admit most of my Skippy Homeier knowledge stemmed from my dad’s obsession with Star Trek, I was almost unaware of his earlier career. Thanks for bringing this to my attention in your post, I can’t wait to watch The Gunfighter. If you liked him in later films you should definitely check out his earlier roles! Interesting look at Skip’s film debut and some of his television work. He had such a long career that fans each have their own role they may associate Mr. Homeier with. For me it’s Budd Boetticher’s “The Tall T”. He always seemed to give 100%. You’re the second person to mention ‘The Tall T,’ so I’ll have to add that one to my watch list!